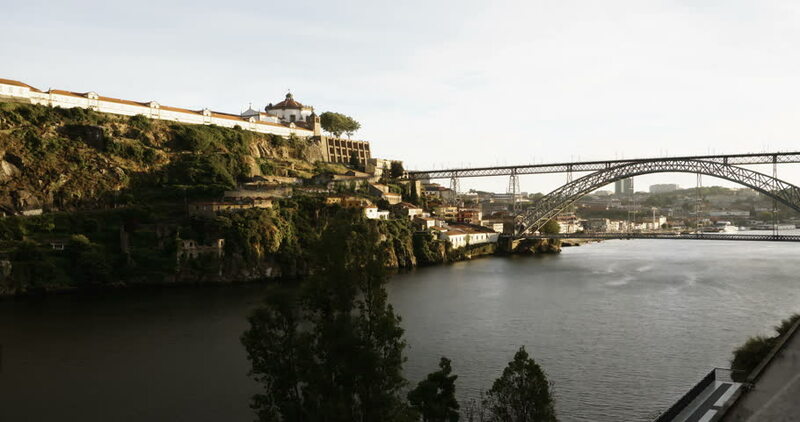 Porto, Portugal Dom Luis I bridge view over Douro river 4K evening time lapse. Monastery of Saint Augustine of Serra do Pilar view. Vila Nova de Gaia area visible at background.